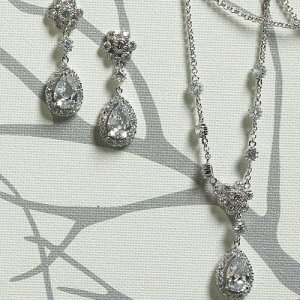 This silver jewelry set is fit for a princess as it features a large pear shaped drop cubic zirconia as well as smaller crystals forming a flower shape just above the drop. The substantially sized cubic zirconia will help your jewelry stand out alongside your beautiful attire. 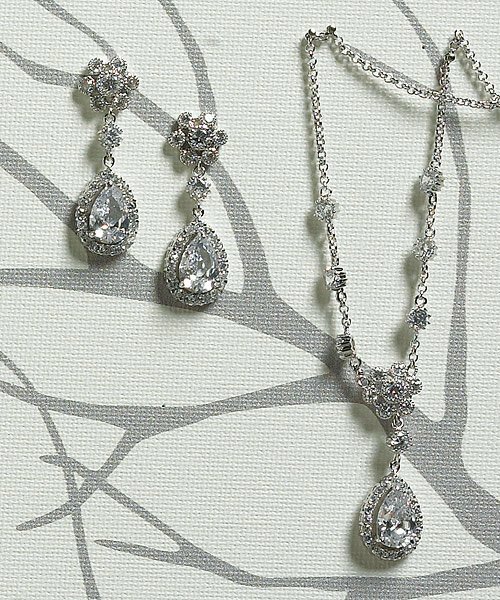 The adjustable necklace measures 16 - 18" long and the earrings are for pierced ears only.